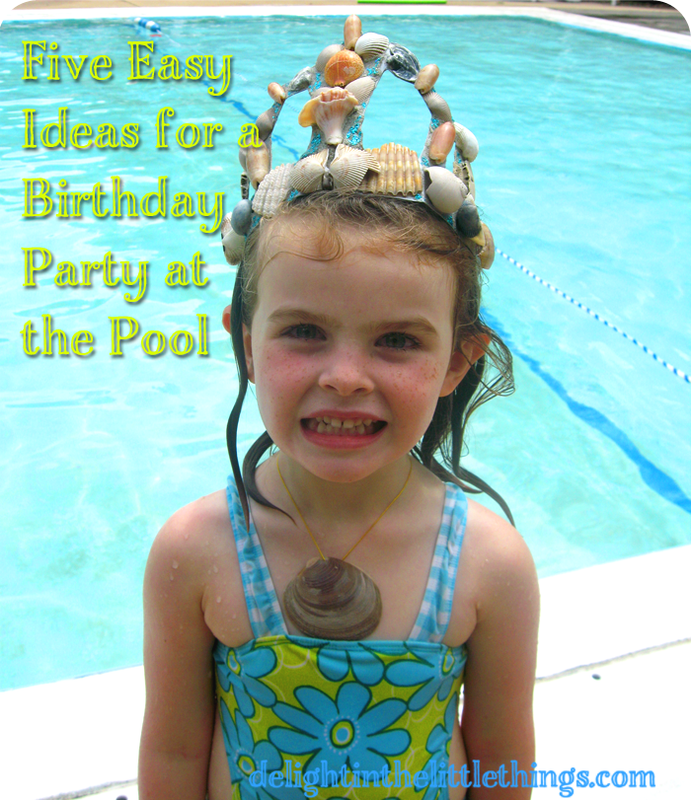 When my oldest daughter turned five, we celebrated with a Mermaid Pool Party. In this post, I shared what we did for food, decorations and activities. It was so much fun planning and preparing for the party, and it was also actually pretty simple. At a pool party, you can let the kids just play for most of the time, but bringing them together for some games helps keep the party together. It's also a nice way to connect kids at the party who may not know each other. Some of her favorite games were the simple ones like Marco Polo and Sharks and Minnows. Typical long-time pool favorites! It was also fun to throw some dollar-store gold coins in the shallow end and have everyone search for them. We ended our game time with a relay race where the kids wore flippers and had to walk across the shallow end. In KidSpot's Activity Corner, they have a great activity finder that let's you choose the age range for your party and has a list of games and activities that would be appropriate. I like it because there are lots of games to choose from and most don't require additional supplies. There are also some really sweet games to do with babies. Babble has a nice round up of 17 different games and activities for the pool. Silversaltdesigns on Etsy has some adorable pool party photo props . . . Just hang a colorful beach towel over the fencing, grab some of these photo props, and you have an easy way to capture some fun moments during pool breaks. And, we especially love these because they are printable. If you're planning for a girl's birthday and want to do something different from a mermaid theme, we love this idea about a flip-flop themed party. Using bright colors, this site has ideas for decorations, food and crafts. It would be simple to find items to incorporate into the theme. And, spoonful has a collection of 18 Fabulous Flip Flop Crafts to inspire you. Don't stress over cute party favors, go with basics like sunglasses, blow-up beach balls/inflatable rings and goldfish. Lots of inexpensive and fun things can be found at the dollar store, and the kids will love them. 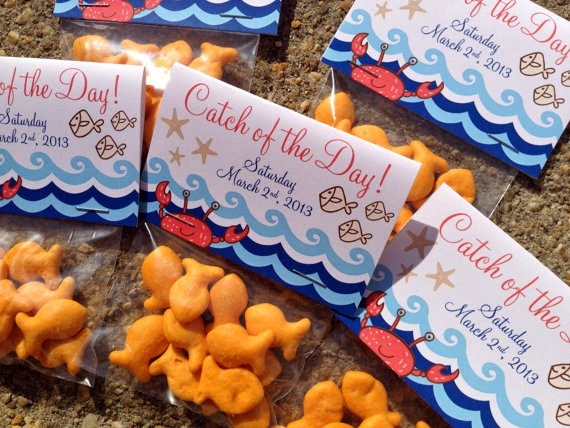 If you want a little more pizazz, check out these cute bag toppers for goldfish by TheCreativeSideshow on Etsy. She prints, cuts and folds these so they are perfectly ready to add to your bags.